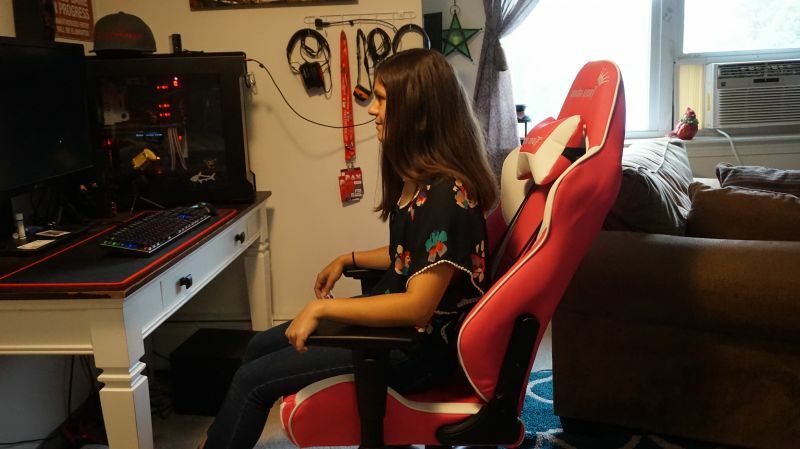 With so many gaming chairs on the market, there didn’t seem to be a lot of them geared toward the female gamer. Well, you’re in luck today! 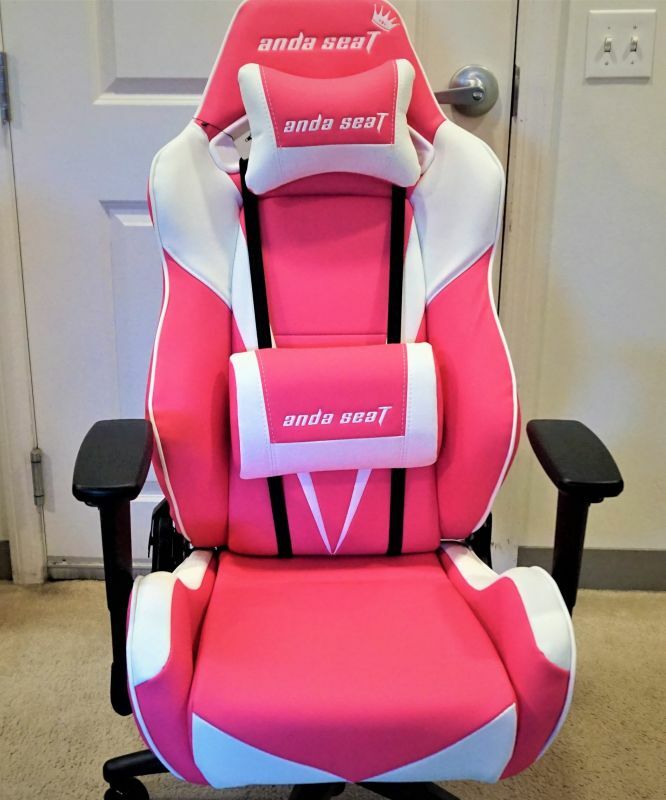 Our friends over at AndaSeat have thought about this and they have come out with their Pretty In Pink gaming chair. 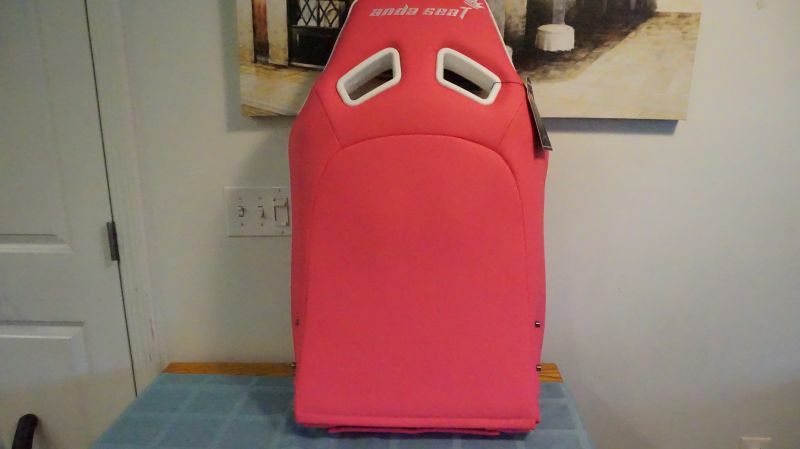 If you don’t know who AndaSeat is, they started off making car seats in 2007. They made seats for companies like BMW, Mercedes Benz and many others. 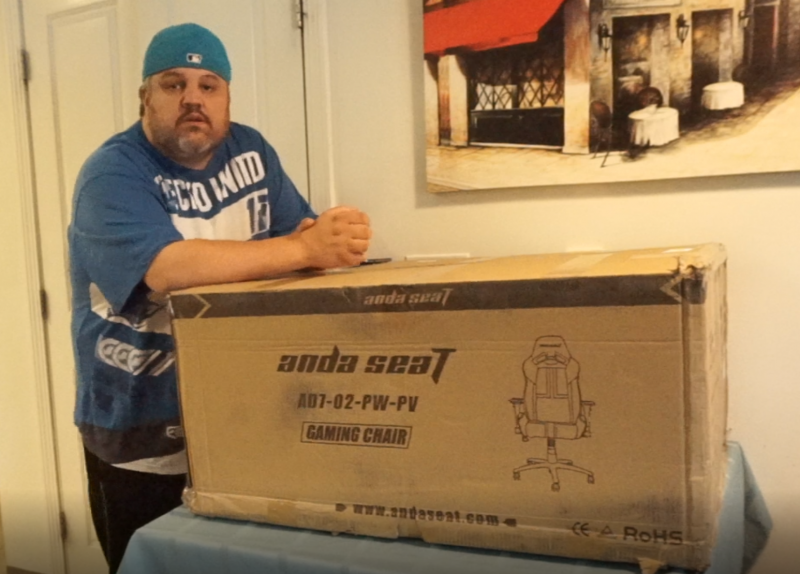 In 2012 they started making gaming chairs and around 2016 is when they started the brand AndASeat. When the box shows up on your door expect a large brown box with some logos. The box itself will weight about 52 pounds. You may or may not need help getting it in the house just be careful not to injure your back, I would open it up and take the pieces out separately to bring them in if you don’t have a second person helping you. In the package, you get the seat back, seat base, two armrests, two covers, the mounting base, and 5 caster wheels. 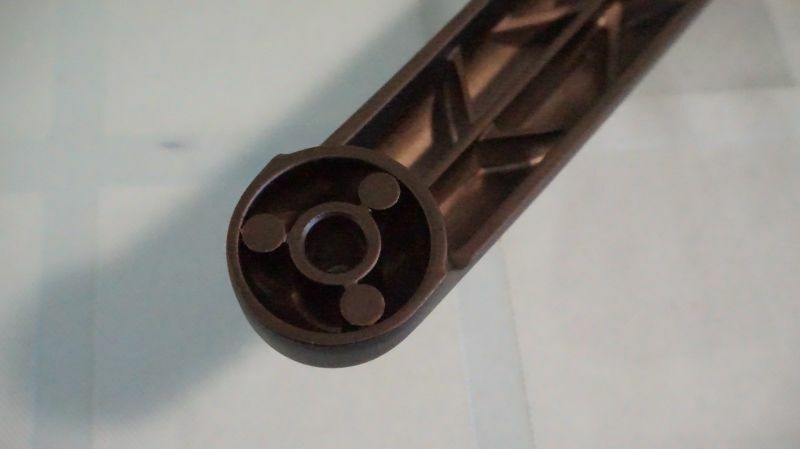 Also in the package, you get the five-star base and gas lift piston and two cushions. The last two pieces are some bolts and two Allen wrenches. 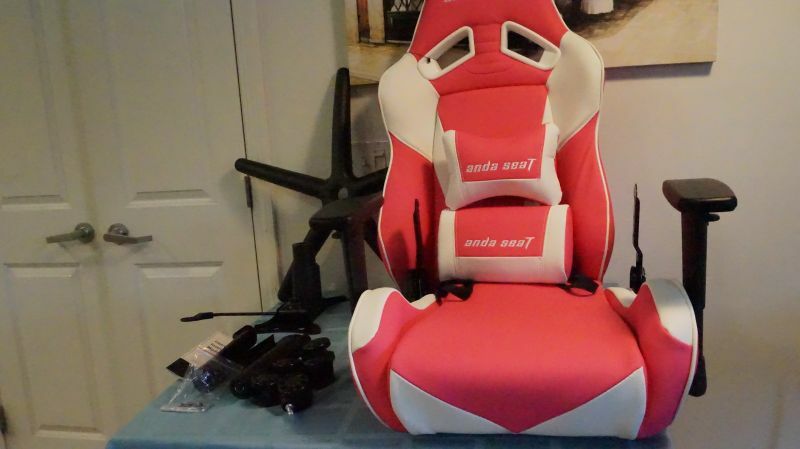 Assembling the AndaSeat Pretty In Pink Gaming Chair is rather easy to do. The armrest comes pre-installed for you. Connect the seat backrest to the bottom seat. 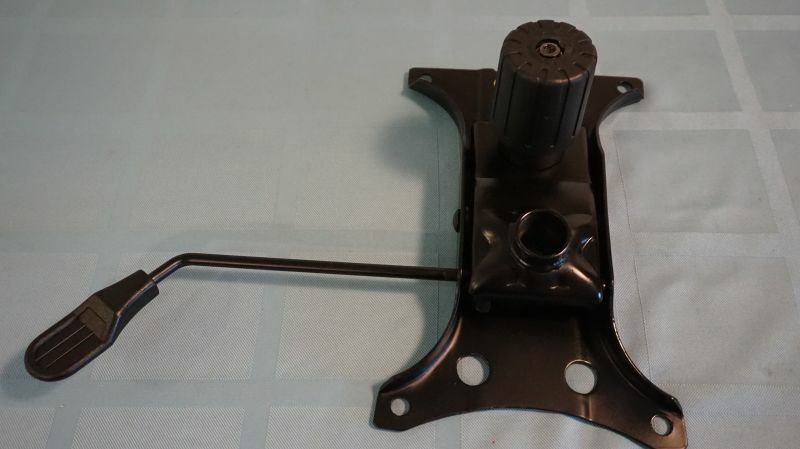 The bolts for the mounting base are on the bottom of the seat base for you just take them off and connect the mounting base. 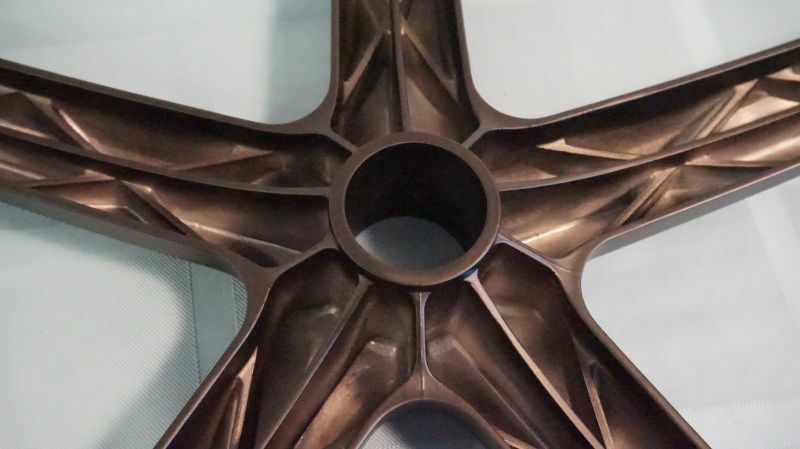 Install the wheels and piston to the 5-star base and the bottom of the chair. Then you add the covers for the side bolts and add the cushions for comfort. To see the full Assembly watch the video below! 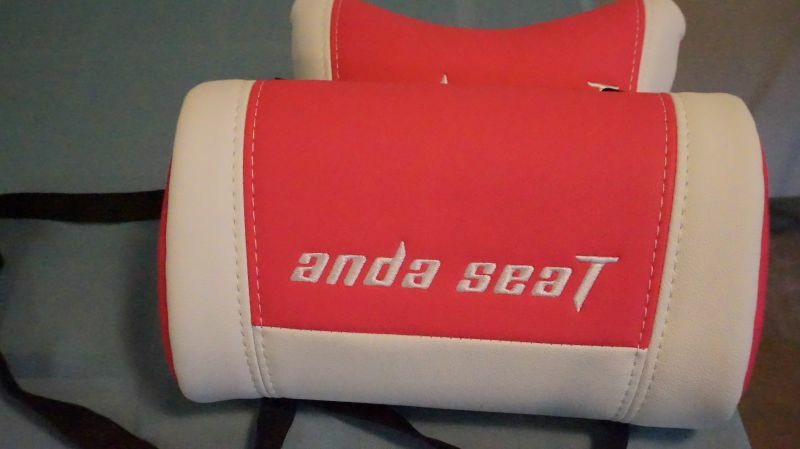 You should expect a great warranty and great quality parts from AndaSeat. 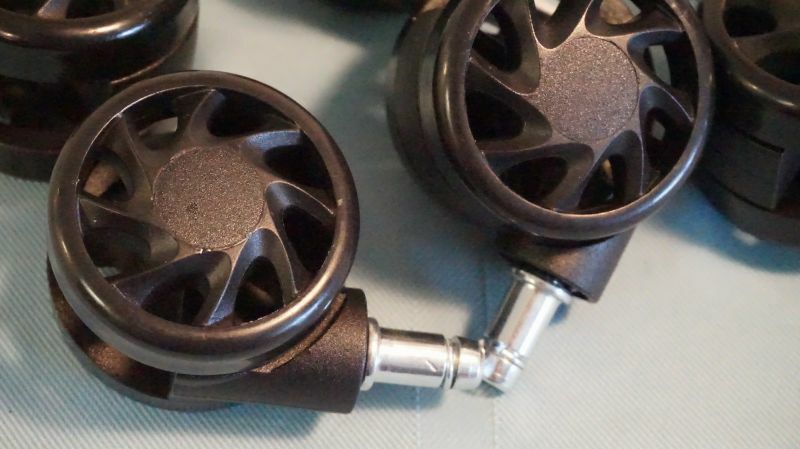 They are able to offer a better warranty than some other companies since they are an OEM manufacturer. What this means is they make the chairs in-house and also make chairs for other brands. They offer a lifetime warranty on the frame and 6 years on the parts. What they don’t offer is leather warranty. This means if your fabric rips or snags on your chair you are on your own, but there may be some instances they may help fix an issue. Like if it showed up that way or if a stitching broke in the first 6 months but don’t hold that to me. 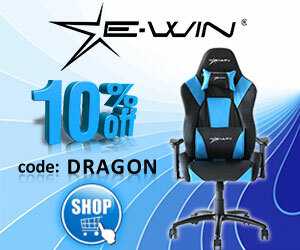 Their office is based in Canada and offers free shipping to Canada and the United States. The Five-star base and casters! 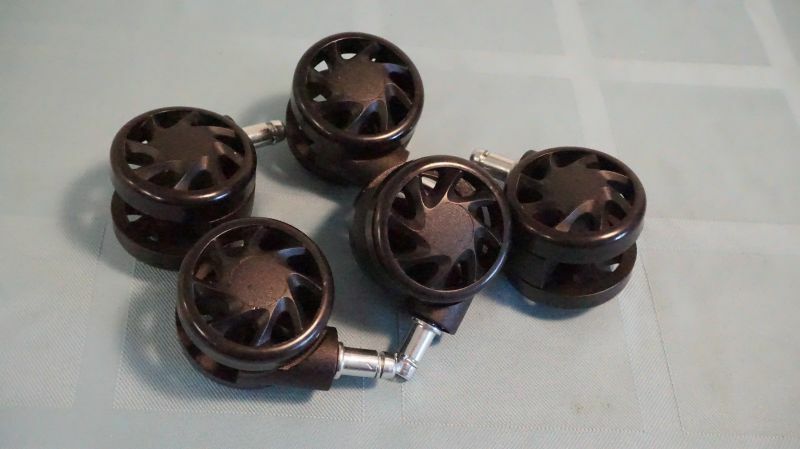 This chair offers their 60mm PU covered wheels. While the base is made from 1.8kg aluminum metal. This makes for a sturdy base that can handle up to 300 pounds. they claim. 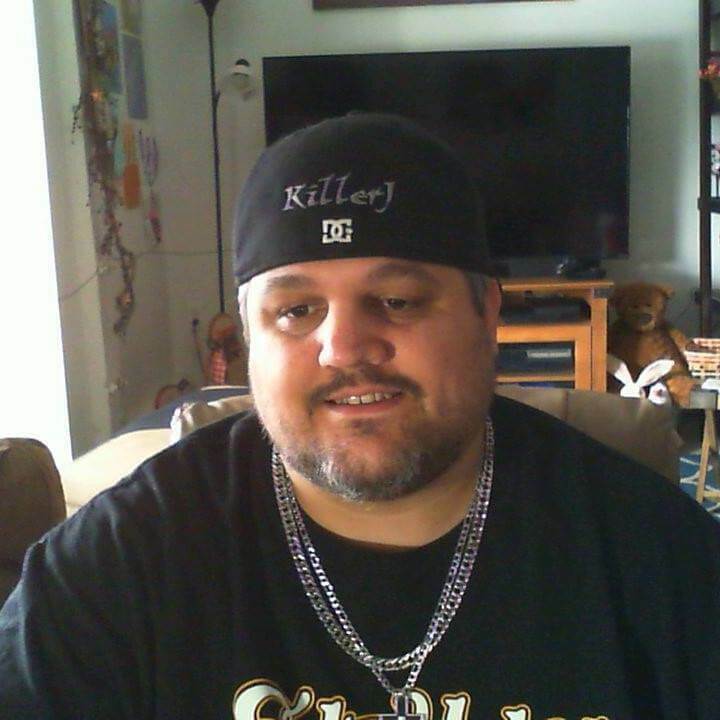 Now I’m a larger guy so I can say it held my weight. I can not attest to the full 300 pounds however. The mounting mechanism is a nice steel design. I think it is more than enough to take some abuse from the user. The piston/shock is a class 4 piston. This is gas filled like most pistons. It should have a nice long life to it for daily use. 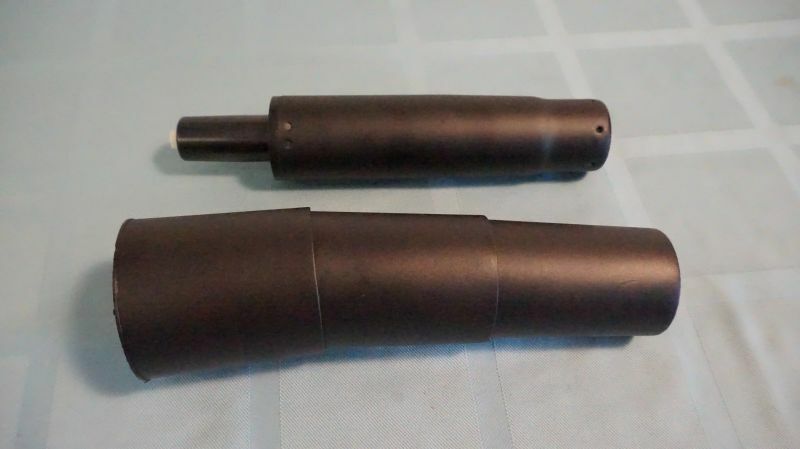 From the photo below you can see the plastic piston covers also. Now, these are just cheap plastic covers that you should never have an issue with. You can see each of these is the next photos. I’ll take more about the mounting mechanism later on. AndaSeat Seat Bottom and Seat Back. 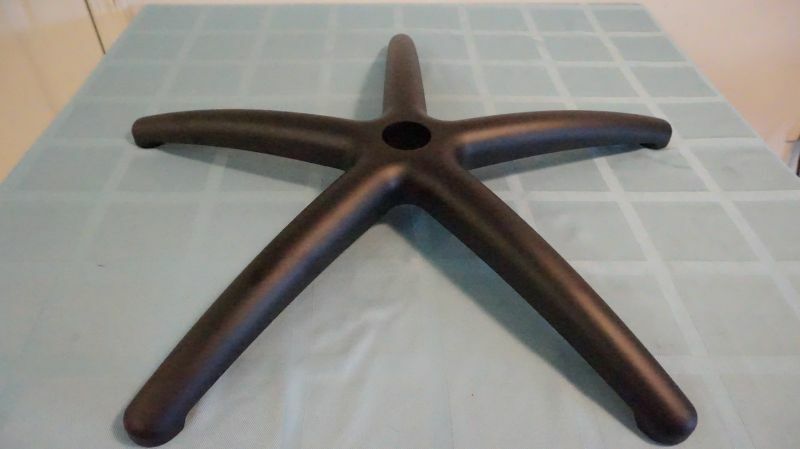 The seat bottom and back are made from a steel tube design. These pieces on the inside have a lifetime warranty as mentioned. The fabric that covers it is a PVC leather. 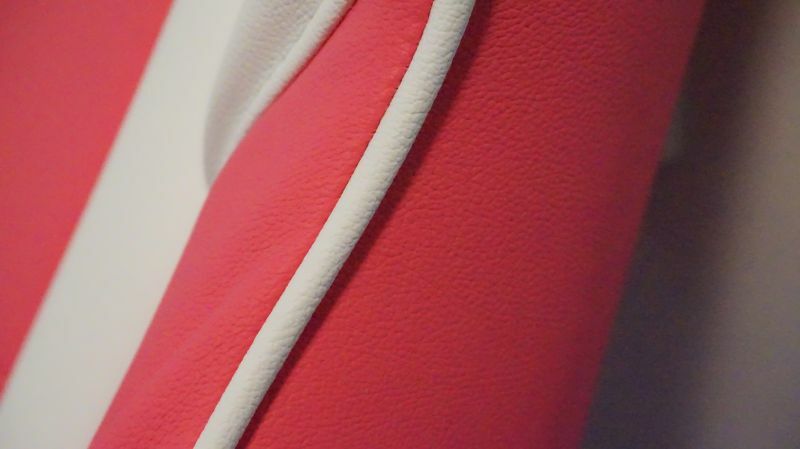 The leather is bright pink and white, it just is very vibrant in color. Pictures do this chair no justice. The stitching is on par and very well done. I have yet to see any real flaws in the stitching or coloring of the chair. 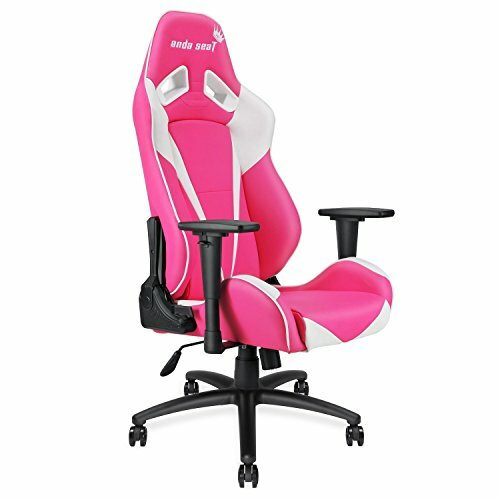 Toward the top of the Pretty In Pink gaming chair are two white plastic rings. These are made to mimic the car seats that have seat belts that come through them. These are made from plastic but seem very thick. If you get this seat dirty just a little water and some leather safe soap will clean it with ease. The piping is stitched on all the edges and looks to be stitched very tight and clean. The Piping is white in color. From the last photo, you can see the armrest. This is made of metal and plastic. The armrest top has a foam padding that I have to say is better than the chair I used daily for past two years. These are made of the PV leather with same piping. The only difference here from the chair is the straps that hold them on to the chair is fabric with plastic clips. You are able to adjust the chair to many positions. It can go from 90 to 160 degrees which lets you lay down backward and rest if you are tired and want to nap between gaming sessions. You can also adjust the height and angle. The armrest is adjustable as stated above as well. This gives you the ability to adjust it to anyone’s likes and comfort. You can see it here with my kid sitting in it with it angled back a little. With testing, I tried to give it a thorough testing from using the mechanisms. I also got up and flopped back down on it like a kid would be jumping on the chair. There has yet to be any issue from doing this. I also had my kid spin it in off and on for the past few weeks to see if it would get a squeaky noise. There has yet to be anywhere noise or issue. I did use the lever to adjust the height up and down. The last test I did was the cleaning test. I used it for the past few weeks and then cleaned it and must say it cleans very easy. 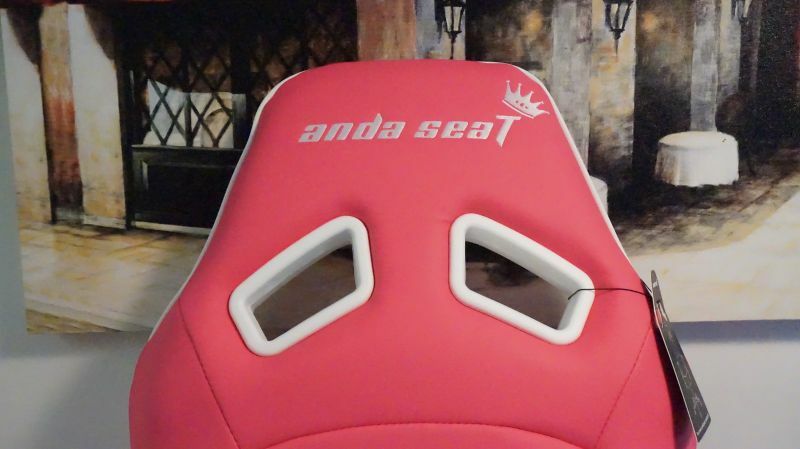 The AndaSeat Pretty In Pink gaming chair has a couple logos set throughout the chair. Two can be seen on the seat back. 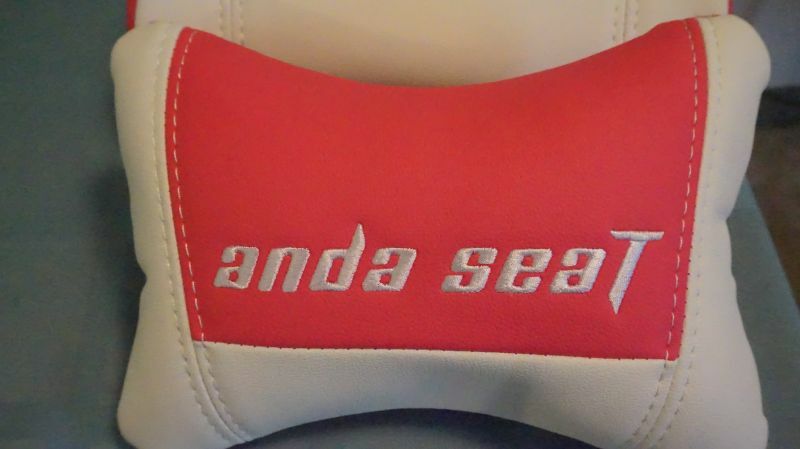 You have their AndaSeat Logo stitched in white with a crown above the T. These are places on the front and back of the chair. The other two logos are on the cushions. The stitching is well done and very clean. 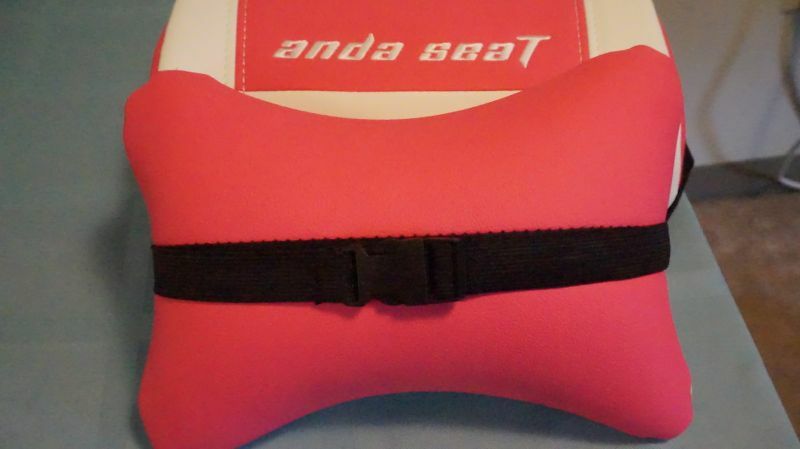 The AndaSeat Pretty In pink Chair ranks up there in one of the best I have used. My wife has given it high remarks as well and has claimed it for herself. The chair is made well and very cleanly done. With the testing and use, I have put it through it has taken it all like a champ. I plan on doing an update video a few more months down the line with how it holding up. Their warranty is great and has a nice time length to it. Plus you don’t have to pay for that warranty like you would at a box store. Again, with the color of the chair no picture has yet to do it justice. The brightness of the pink is so high that I can’t get good quality shots without proper lighting and then it seems hard to get. 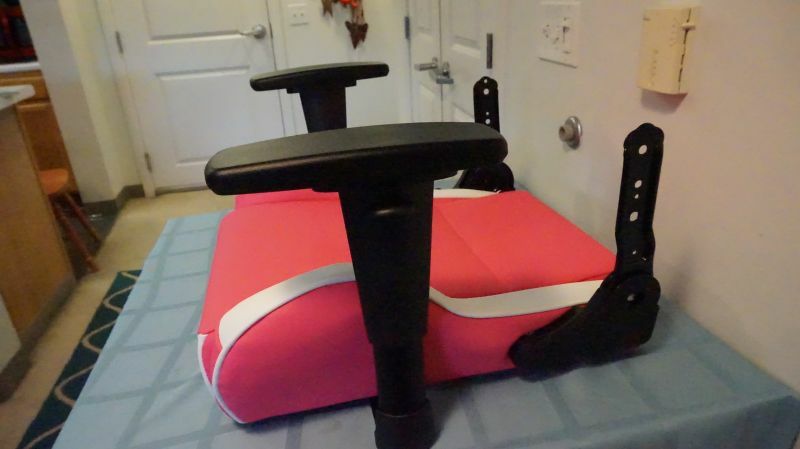 The pink may throw some users off but I say don’t hold that against from you checking this chair out. 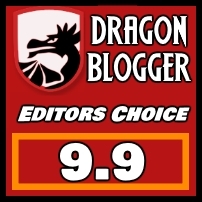 The price varies from site to site. 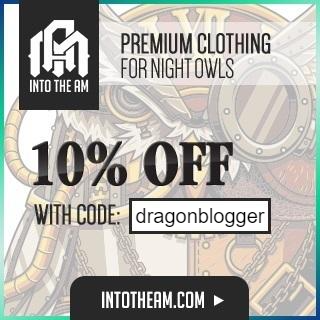 You may be able to find it cheaper just look around. Now I do suggest you have help carrying it in since the size of the box makes it awkward. I don’t see you having any issue putting it together by your self. I see almost anyone able to do it. I give this chair high remarks for what it is and how well it has held up so far. I recommend this to anyone who is into the color.